Dental care should begin from an early age. From the moment your child grows their first tooth, you should consider scheduling a visit to the dentist. Exposing your child to a dental office early will help them grow accustomed to the environment. Because dental anxiety is so prevalent among patients, early interactions with the dentist’s team, tools, and office setting will create positive associations from the very beginning. At Hughes Dental Group in Campbell, our goal is to build trust with children from their very first visit in our office. By establishing a comfortable atmosphere, your child will start to look forward to their bi-annual exams. We see children as early as one year old. As soon as their first tooth erupts, we believe it’s important to have a check-up and determine how the rest of your child’s teeth will grow in. This initial appointment also allows our dental staff to build a dental record of your child’s smile. During the initial visit with an introduction to our staff and treatment room. We also explain the different tools and methods we use in a manner that your child will understand. If your child would feel more comfortable with you in the room, you can join them. Ultimately, we make their visit as enjoyable as possible so that they recognize the importance of their oral health. 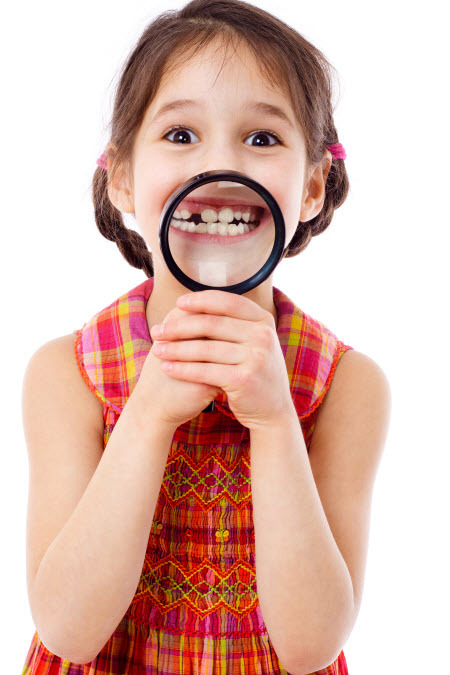 We offer a variety of treatment for children, including cleanings and tooth-colored fillings. We recommend that your child receive fluoride treatments as well, to help strengthen tooth enamel from an early age. Other procedures we perform include dental sealants, which fill in the deep grooves of the teeth to keep bacteria from creating cavities. Depending on your child’s specific needs, one or more of these procedures may be right for your child. By examining the teeth early, we can detect any complications that may arise in the future. We can begin treating them early before they worsen. Your child’s visit is also a time to educate them about oral hygiene. Brushing and flossing properly are vital for preventing cavities and tooth decay. The team at Hughes Dental Group uses a big-picture approach to ensure optimal dental health. Our goal is to promote long-lasting oral health, which begins by treating issues before they occur. For more treatment information, or to have your questions answered call us today! We look forward to helping you and your child receive optimal dental care!